Recently, Texas Lutheran University journalism students and Associate Professor Robin Bisha visited Marka’s studio. The class was on a mission to interview and write an article about Marika and her art. Thank you for the five beautiful and well-written articles. Please enjoy the photographs of the visit and the writings of Sunny Valencia, Laura Torres, Samantha Kuykendall, Amber Gold, and Joy Fennigkoh. 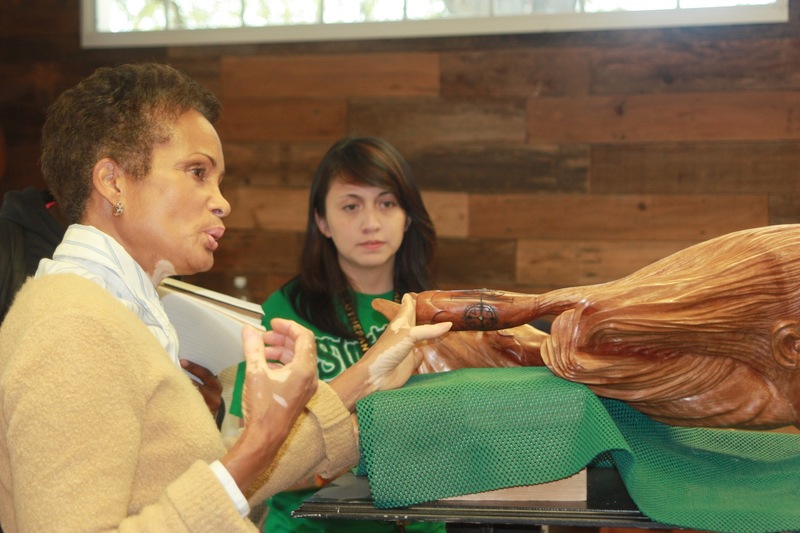 SEGUIN – Oct. 19, Marika Bordes, noted sculptor, shared her creative proficiency with TLU students to experience her art from within the creative walls of her studio and encouraged them with her words of wisdom and passion towards her craft. 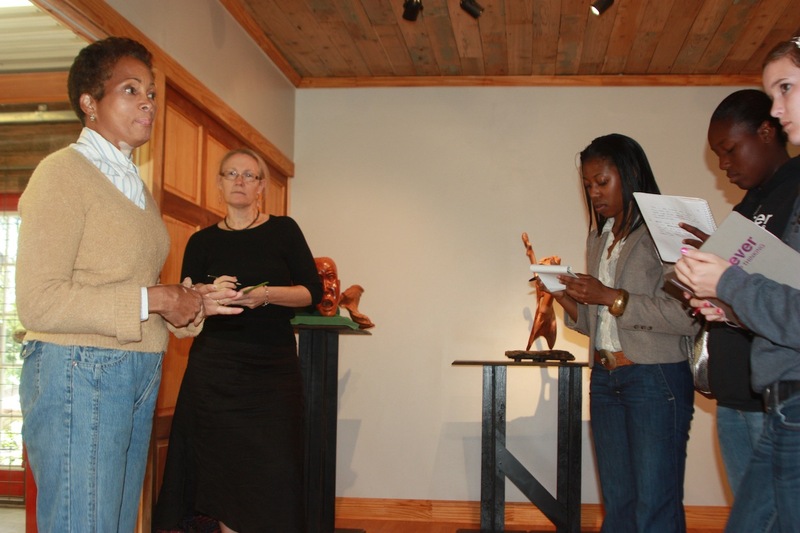 This humble artist, a Haiti native, was a late bloomer when it came to sculpture but is now continuing to draw attention for her smooth and elegant pieces of art that range in woods, colors, and sizes. She mostly creates art in female figures that correspond and inspire the essence of their power, beauty, and charm. 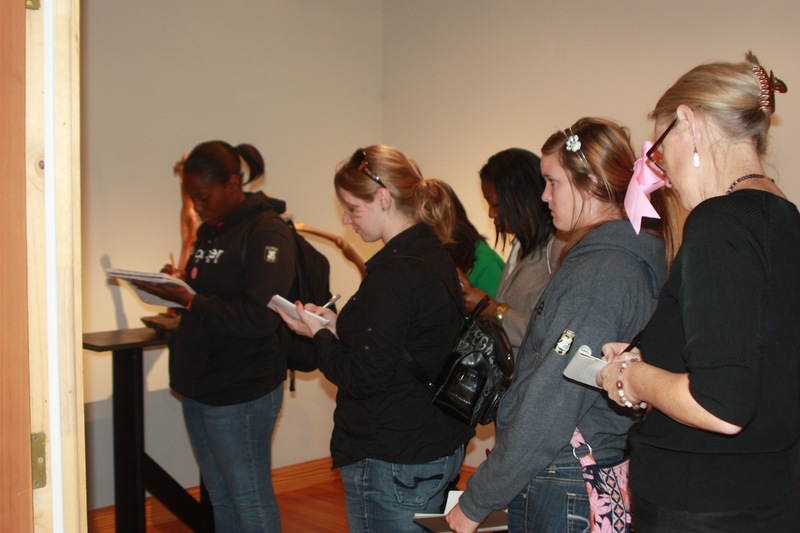 The TLU students who had the privilege to enter place of work, look around, take in her efforts, and have “hands on” experience gained an understanding deeper than those guests that go to the exhibits where her pieces are showcased. Instead of possibly picking her favorite work, she responded with having respect for two pieces, “Head of a Woman” and “Carousel of Women’s life.” Her pieces are her way of expressing poetry. The latter piece is her “truth” of the female life, from childhood, to teenager, to motherhood, to the end of their time. It is how women have struggled to survive and motivate humanity. Bordes shared her emotional story of her country and its effects on her craftsmanship. “Haiti is a great source of information, great source of inspiration. If you can’t get inspired in Haiti, something is wrong with you,” she said as she made the students laugh. “I am proud to come from that country although it is the poorest country in the hemisphere. It is such a rich country.” Her expression and intensity when she spoke let it be known that she was sincere with every word. Wood called to her, she didn’t go to find it. Even at the age of 49, she gained her inspiration to become an artist. Now, 15 years later, she continues. “As long as I can do it, I will,” she said. Bordes has a God given talent to create poetry and express multiple feelings from blocks and branches of wood. Her pieces tell the story she feels, but do not restrict the observer to that idea. There is a secret hidden along an herb garden in a quiet nook on Erkel Street. A shaky path of cement blocks line the way to a center-stage show staring passionate figures spawned from wood and inspired by stories. Above an entrance reads a sign that reads, “Beauty is in the eye of the beholder.” This sign christens the site of where the artist Marika Bordes creates poetry with her mallet and chisel. Bordes moved to Seguin in 2005 but has been sculpting since 1996. A native of Haiti, she is recognized throughout the art community for her style of elongated lines within her sculptures that represent female strength and tenderness. Numerous awards dot her resume including fourth place in 2002 and 2003 at the artist exhibition, Rencontre des Arts, held near Montreal, Canada. She won first in 2003 from The Pen and Brush, an organization founded 110 years ago for female artists. This yearly sculpture contest exhibits 750 sculptures created by numerous professionals. In 2008, her sculpture “Nesting” won second prize at The Hill Country Arts Foundation 2008 National Juried Exhibition in Ingram. While her studio is small it is also packed with passion. The studio is aglow with the tanned reflection of the wood sculptures that literally reach out to those who pass by. A dry smell of grated wood hangs in the air as the stories behind the sculpture come to light. A mother holds her daughter who, Bordes said, is like her but also is not. Her hair is unlike hers despite them both being of the same branch symbolizing how one cannot give what they have not received. Another work is of Mary with her mother telling her that she is pregnant with the messiah. At the time being with a child out of wedlock was a social wrong. As Mary cradles her son inside her she is held by a mother who raises one hand in anguish but rests the other on her daughter in acceptance. “Cry of Liberty” is Bordes’s newest sculpture and is of a woman whose face is in a screaming rage. Her hair seems to be pulled back by a fierce wind and at the tips unites to form a drum. Within the hair, a girl emerges from the strands. This piece is symbolic of women lifting the holds that bind so that their future daughters can be free. Each voice is like a beat on the drum within the hearts of women that becomes part of the song for freedom. 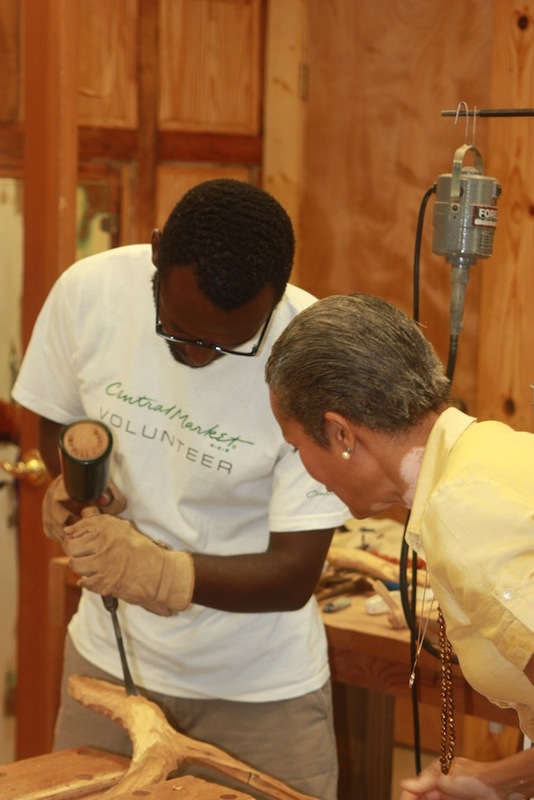 Some inspiration for Bordes’s carvings is drawn from the generosity, strength and elegance she has seen in her home of Haiti and in America. She credits her skills to her teacher and to the people of her country, who taught her simplicity. Haiti was where Bordes met master in find wood sculpting Francois Sanon. She had commissioned him to sculpt a piece for her that she routinely checked in on to monitor his work. The comments Bordes would give to Sanon about the piece made him feel that she was one who had the skill to carve. She dismissed his persistence since she shaid she couldn’t even sketch a line on a piece of paper, let alone carve. Eventually she was drawn to the craft. To prepare she bought her own tools and proceeded to his study ready to sculpt. Sanon then asked her if she had $50 to which she gave him. A few days later he returned and gave her a chisel, larger than her own hands, made from the metal of an old car. Her wood was to be her mallet. He then told her it was all about her own style despite the many sculptors within the field. Bordes was on her way to an epiphany. Since then Bordes has created numerous pieces exhibiting a nurturing spirit. On Nov. 11, Bordes will display “Cry of Liberty” at An Auspicious Date at Gallery Nord in San Antonio. It has been coined by the galley as an international show since it features the work of 16 female artists from throughout the globe. There is no time frame for when Bordes completes her sculptures since she may begin one, leave it to work on another sculpture, and return months or years later to complete it. Her current piece she is working on is that of an owl that will be placed in one of Seguin’s local parks. Bordes’s studio is surrounded with the metamorphosis of her works. Across from the backyard where the wood in which her work is drawn from, rests the workshop where her tools wait. After a finishing simmer of polish is added, the pieces are taken steps away to rest in the gallery to call to a new home. Her work builds on the thoughts of the viewer and is designed to rouse the minds of their owners who hear a call to them from the wood. Many people believe once you are a certain age you are unable to learn new things or try things you had never tried before. Marika Bordes and her remarkable story help show people everywhere that anything is possible. Bordes, 64, is originally from Haiti, and at the age of 49 she became a sculptor. She uses wood for all of her pieces. “I didn’t choose wood, wood chose me,” she said. She chose to sculpt with wood instead of any other material. All of her pieces teach a lesson, she said, “Life is a lot of lessons and those are the stories I’m here to tell.” As many artist tend to say, “My mallet and chisel talk for me,” and “In a piece I put more than a story, I put myself,” said Bordes. She creates most of her pieces from large pieces of wood that fall from trees. “I have never seen an ugly wood,” she said. 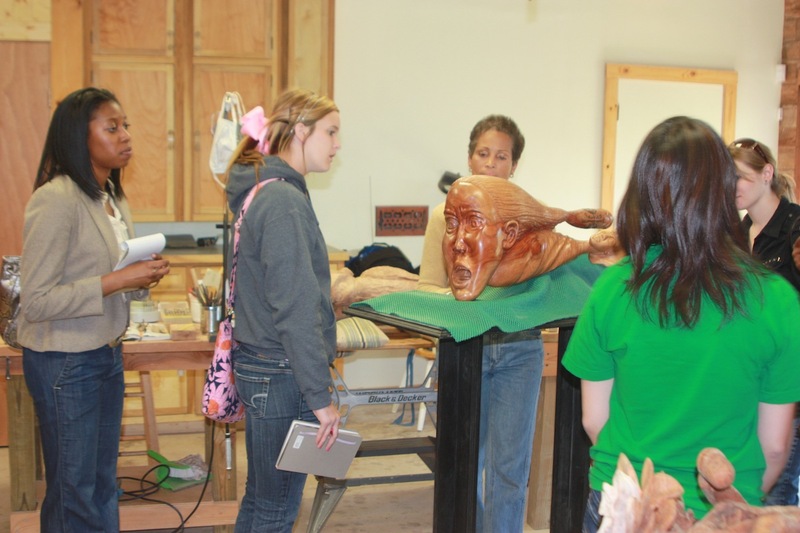 The size of the sculpture and the kind of wood are big factors in how long the piece will take to complete. Smaller ones can take as little as a week, while larger sculptures or harder wood can take up to a couple of months. “I would like to quilt and do so many other things,” but while I am still strong enough, I will continue to sculpt, said Bordes. 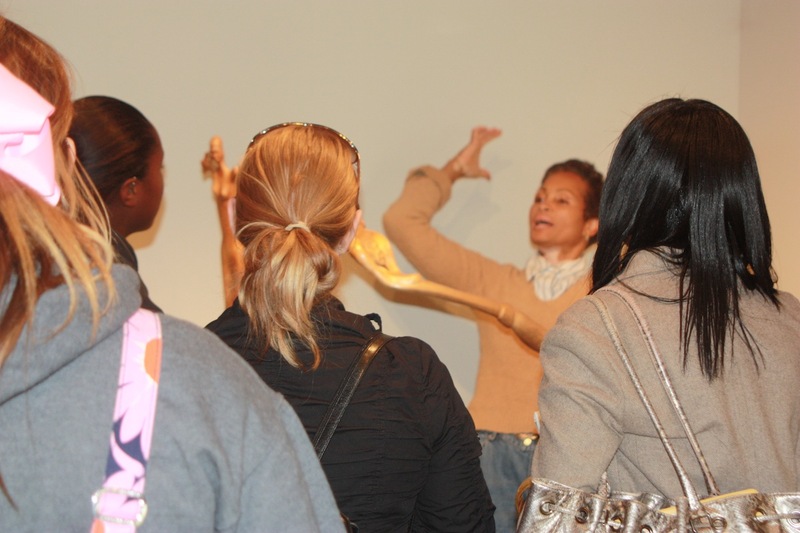 Oct. 19 (Seguin) – Have you ever wondered what goes through an artist’s mind when they create a piece of artwork? 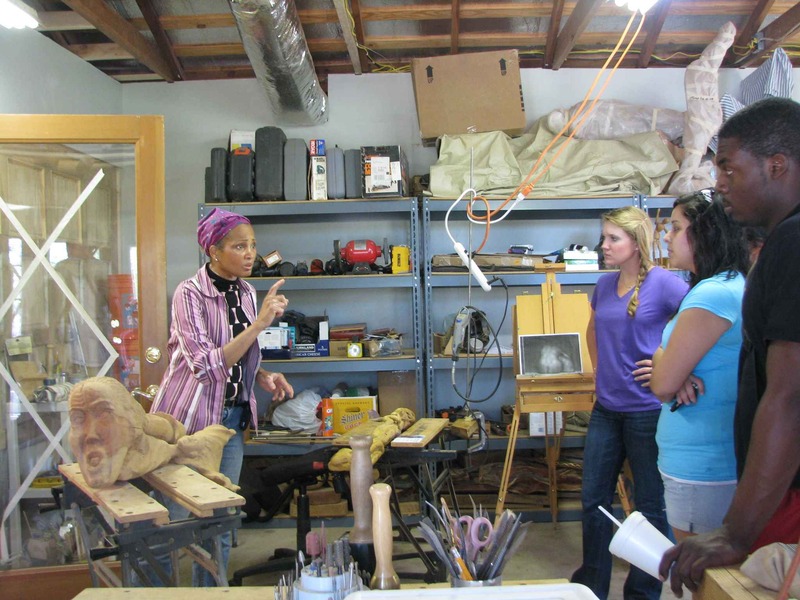 Marika Bordes, a native from Haiti, presented several journalism students with the opportunity to visit her studio to experience the essence of her sculptures. Ironically, Bordes was first introduced into sculpting after an encounter she had with a sculptor from her country by the name of Sanon. She initially commissioned him to create a piece of work for her and began to give him feedback throughout the process. Sanon recognized the potential that Marika possessed and he told her that she could carve and he would teach her. Initially a little uncertain, Bordes took up sculpting a couple years later and said she “learned it and loved it.” She recalls her master telling her, “You won’t do it like other artists, but you’ll do your own.” With this newfound sense of self and six tools she had acquired from Montreal, Bordes began to create her first wood masterpiece that depicted a woman from her native country. Many of her art pieces such as the “Cry of Liberty,” “Seas of Uncertainty,” and “Carousel of Women’s Lives” reflect the struggles and encounters that the people of Haiti face today. These obstacles serve as a source of inspiration for Bordes as she reflects on her culture. “Through Haiti, I have learned the simplicity of life,” states Bordes. This reflection on her culture enables her to share the journey of life through conflict, pain, and triumph with her public audience. From her sculptures, Bordes hopes that people will one day see their own personal stories and experiences. The inspiration expressed through the artwork is something that she hopes will manifest in the lives of future generations as they triumph over life’s battles. When walking into Bordes’s studio the beautiful wood sculptures shine with unique character and design. Each finished sculpture is carved with detail and noticeable care and each tell a different story of their own to those who view them. “I haven’t met an ugly wood—it’s all in their grain, beauty and character,” Bordes said. Bordes mostly works with hard woods because of the beautiful results that she gets after carving it regardless of the challenge it poses. As a result of her hard work, her finished sculptures stand strong and beautiful telling their unique stories. One piece that Bordes has recently completed is called the “Cry of Liberty.” This piece is a sculpture of a woman’s head whose face is shouting while her daughter is calm coming from her hair beside her. In the back of the sculpture is a little drum. “The woman is tracing the path for the future (the daughter)—The drum is the call deep inside.” Bordes said. “It is what is not right, calling for action,” Bordes said while tapping on the drum. The “Cry of Liberty” was first representing speaking out about slavery, but is a timeless piece that changes meaning with the world around it and also with those who view it. Bordes wants those who see her work to reflect on what they know and to see the sculptures. She also wants her audience to understand that it is never too late to do something new or pursue something you love. “We are called humanity, and humanity is beautiful—life is nothing but a gift,” Bordes says. 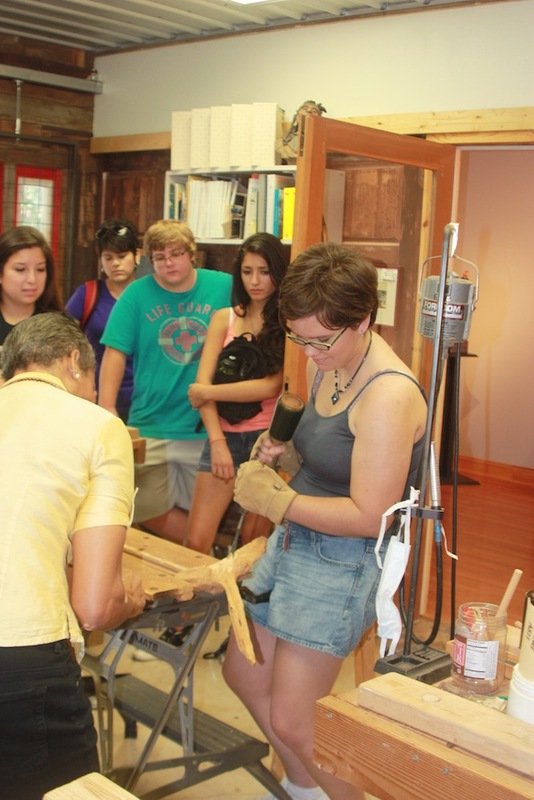 On August 6, 2011, participants in the TLU Glocal (global/local) Retreat visit Marika’s studio and gallery. We were so incredibly thankful for your willingness to entertain, explain, and provoke the students in our glocal retreat in early August. Your session was clearly a highlight for the group based on their overall reflections. Thank you for making time for that opportunity and also for being willing to share so deeply about who you are, what animates your work, and why you do it. The visit to your studio and home was a fantastic experience for our group. At the invitation of Rev. 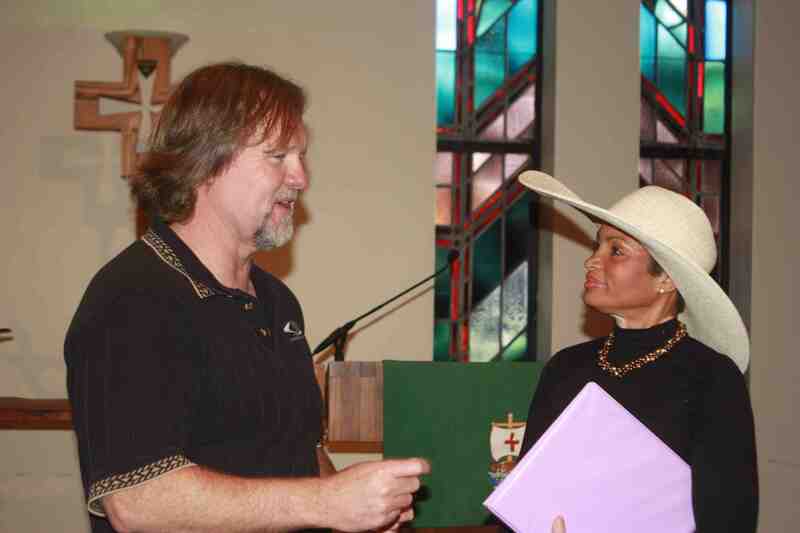 Greg Ronning, Marika gave a chapel talk to give tribute to Women’s History Month. The title of the presentation is “The Quiet Strength”. from childhood, through puberty, to womanhood. What is the life of a woman? Is there a meaning to our struggle? What do we bring to humanity? From babyhood, to motherhood, to the dusk of life, this sculpture portrays the strengths and struggles of women to overcome the shackles of Madison Avenue appetites, the distractions of the flotsam and jetsam of this world, and the blasphemies of false prophets. They rise to the call to nurture, guide, and move humanity through uncharted waters. Marika has events at the newly restored Texas Theater, Texas Lutheran University’s Chapel of the Abiding Presence, Siempre Sustainable Network, and the Seguin ArtsFest. 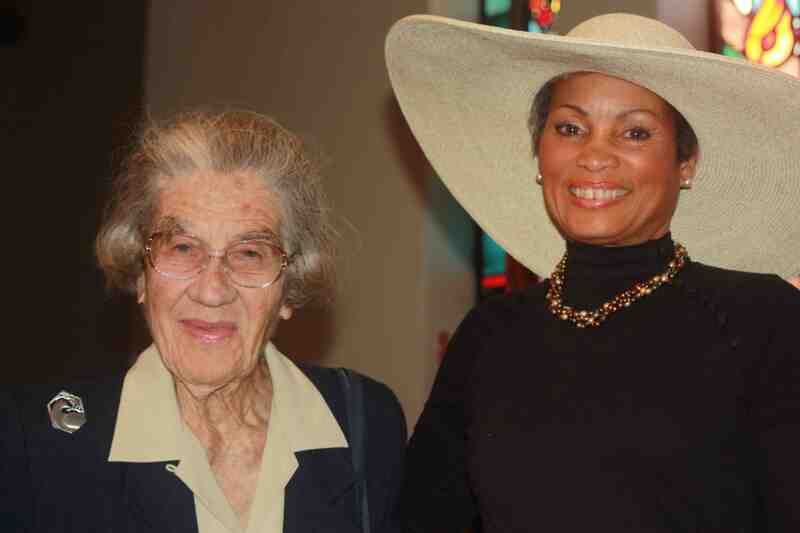 Marika’s chapel talk uses the 2011 Women’s History Month theme – Our History is our Strength. Marika will discuss creativity and sustainability. Come and enjoy the restored Texas Theater. See sculptures in wood, ceramic, and metal by Marika and other members of the Seguin Sculptors Guild. Listen to poetry about sculptures and sculpting and let music serenade you as part of the evening’s entertainment. Marika and members of the Seguin Sculptors Guild will work with the “kids of all ages” on an art tapestry/quilt. The tapestry will represent the architectural beauty of downtown Seguin. Prior to ArtsFest a number of local artists will add their interpretation of Seguin architecture to the tapestry. The project for the kids of all ages will be to add accents and borders to the tapestry using a resin based material. Posted: Sunday, February 6, 2011 12:00 am | Updated: 3:18 pm, Sat Feb 5, 2011. SEGUIN – AT&T recently awarded $75,000 to Texas Lutheran University to fund the development of conceptual plans for a new fine arts facility on the TLU campus. The conceptual drawings will be presented to TLU regents at the board’s February meeting. With a new fine arts facility in place, TLU will seek an increase in participation and enrollment for students interested in band, strings, choir, dramatic media and the visual arts. Through its philanthropic initiatives and partnerships, AT&T has a long history of supporting projects that create learning opportunities, promote academic and economic achievement and address community needs. In 2009, more than $155 million was contributed through corporate, employee and AT&T Foundation programs. Currently, the TLU School of Music provides professional training to students who wish to pursue careers in music and music education. It also offers opportunities to students from all majors to enhance their musical education by electing to study music, either from among the academic offerings (music history, literature or theory) or performance (piano, organ, instrumental, voice, and vocal or instrumental ensembles). Students gain performance opportunities through membership in the symphonic winds, concert band, choir and string ensemble. At TLU, that concept has been adapted to create a unique and dynamic program of instruction and production. Intentionally developed as a hybrid of theater, film and new media training, the program explores storytelling by way of the stage or screen, through the fusion and study of text, performance, design and technology. 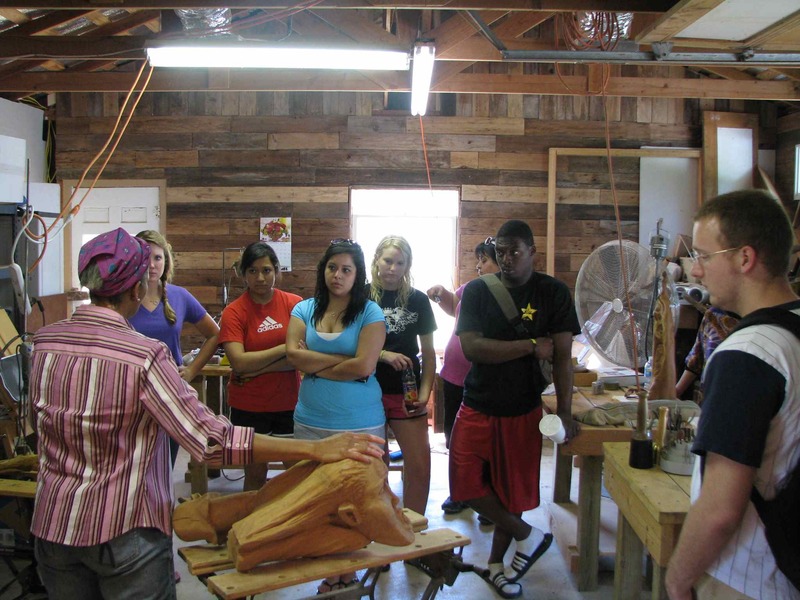 TLU’s Department of Visual Arts offers a program of training and experience in fine art supported by studies in the liberal arts. 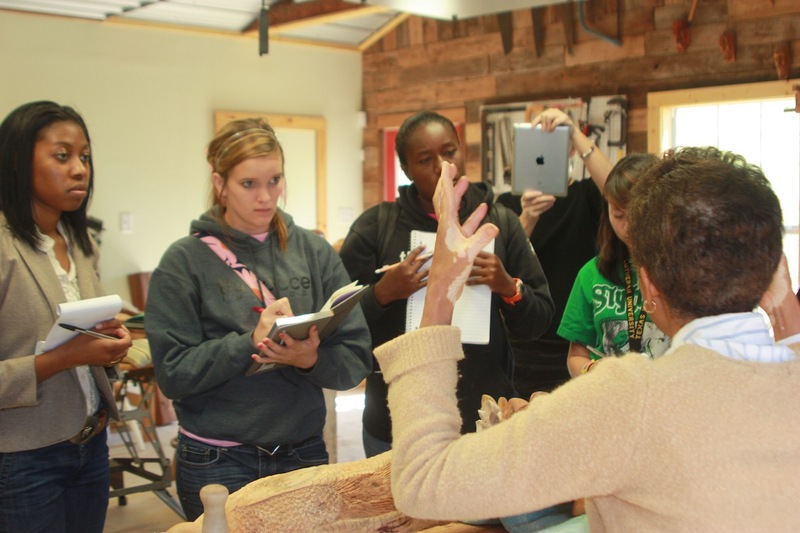 Students may specialize in drawing/painting, sculpture, ceramics and graphic arts, and typically have the opportunity to study abroad, jury local art shows and attend national art conferences and workshops. 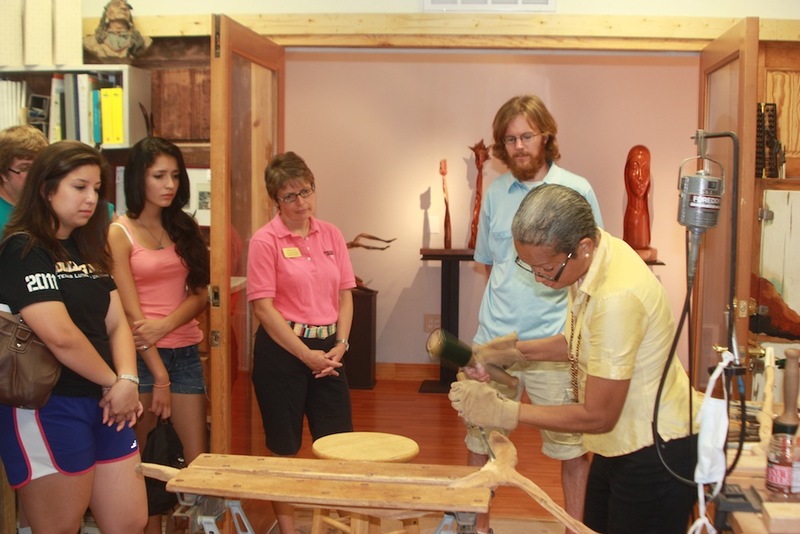 Internships regularly become available within the community or a student may elect to intern in the art department as a shop tech in the ceramics, sculpture and printmaking labs, or in the campus art gallery. Art students may also participate in the annual juried exhibition that is held in the Annetta Kraushaar Gallery in the Schuech Fine Arts Center or showcase their works in other venues throughout the community.